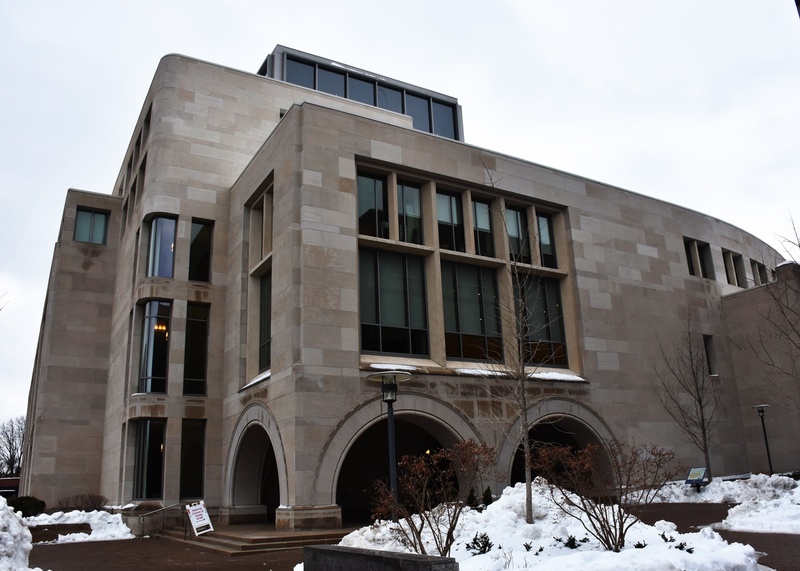 Wasserstein Hall houses a student center at the Law School. Harvard professors decried the Trump administration's asylum policies to a packed room at the Law School Thursday, condemning in particular the administration's treatment of caravans of Central American migrants seeking asylum in the United States — the latest flashpoint in the country's immigration debate. In the hour-long panel, “The Migrant Caravan and the Law and Politics of the Border,” Anthropology Professor Ieva Jusionyte and Law School Assistant Clinical Professor Sabrineh Ardalan spoke about the legal, social, and political issues surrounding migrant caravans. Three Law School student organizations — Harvard Immigration Project, Mexican Law Students Association, and La Alianza — hosted the event. Both professors focused on portrayals of migrants and asylum seekers in political discourses and public media. They specifically described Trump’s portrayal of migrant caravans as an “invasion” as an attempt to dehumanize immigrants. One large caravan from Central America originally grabbed Trump's attention in the spring. That group has since splintered, and several other caravans have followed in its wake. A previous version of this article incorrectly indicated that Sabrineh Ardalan is a Harvard Law School clinical professor. In fact, she is a Law School assistant clinical professor.